Minami Kuribayashi (???? 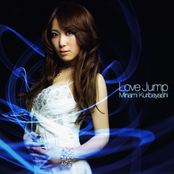 ?, Kuribayashi Minami, born June 11, 1976) is a Japanese singer-songwriter and voice actress (seiy?) from Shizuoka prefecture. Her bloodtype is AB, and her nickname is Kurinoko (???). Her involvement in the game and anime Kimi ga Nozomu Eien, where she voiced the role of one of the characters, Haruka Suzumiya and performed and penned the theme songs and other songs relating to the series, has brought her much attention. Her single "Precious Memories", used as the opening theme song for the series' animated version was a success; it had a peak ranking of 17th place on the Oricon charts and charted for 13 weeks. She has since performed songs for other games and anime, including series such as Muv-Luv, Chrono Crusade, My-HiME, My-Otome, and School Days. Kuribayashi has performed as part of the group Wild 3nin Musume, whose other present members are Joy Max (a.k.a. Joy Max Maximum) and Kisho Taniyama (a.k.a. Jackie Yang). She also once paired with Chiaki Takahashi to form the group exige, where Takahashi was known as CT. Veronica.